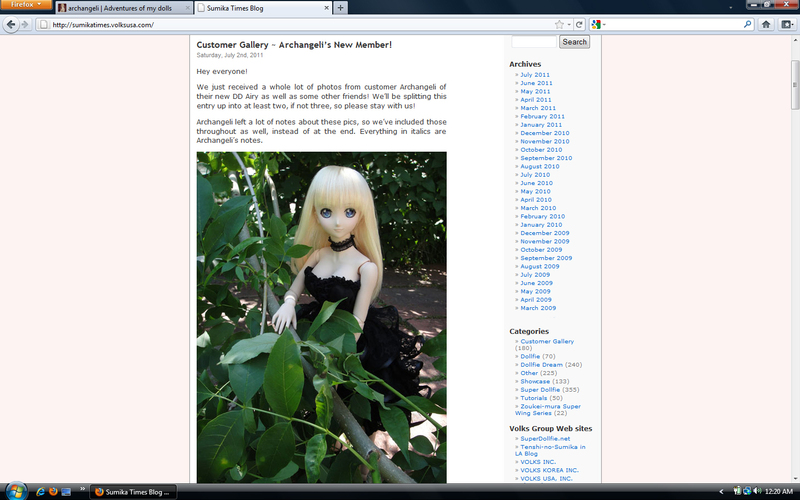 I recently submitted some photos of my lovely Airy to Volks USA and they published them today! Head over to the Sumika Times Blog to check it out! This entry was posted in Dollfie Dream and tagged Airy, Dollfie Dream, Volks by archangeli. Bookmark the permalink.